I am new to Openhab - Using the Openhabian version on a Raspberry Pi3 B.
I do have a new LG Refrigerator Wifi Enabled. LG Automation platform is called Smart ThinQ and there is an iOS App to monitor the refrigerator. I did set it up and all is good but I would like to integrate it with my Openhabian so I can add it to my Sitemap. Is there a binding that would allow me to add the refrigerator? Alas, I think there is no binding to support this directly. However, it seems like the ThinQ API is http/REST so you should be able to use the http binding to integrate this with OpenHAB. I don’t have any SmartThinQ devices yet, but I will be buying a Washing Machine (equipped with SmartThinQ) later. I just wanted to get an idea how hard it is to get this thing working in openHab (because if not, I won’t go with the pricier version, including SmartThinQ). I had a quick look at this solution, it seems that you have to manually write commands for refrigrerator, because these are not included (just for AC some sample command). I have written plugin for smartthinq devices, but for Domoticz platform. For my AC I can set fan rate, mode, filter status and more. I’m planning to share script, but still I haven’t found time for doing it. I also have a heat pump LG and I looked for a plugin for Domoticz. When you have time it would be possible to share it on a platform. I modified wideq, because it was not supporting fully all functionality for AC (Fan rate, filter, ionizer). Software is written in the way server-client, so it is possible to implement easily client in Java and do Openhab binding. Domoticz plugin for LGAC SmartThing. 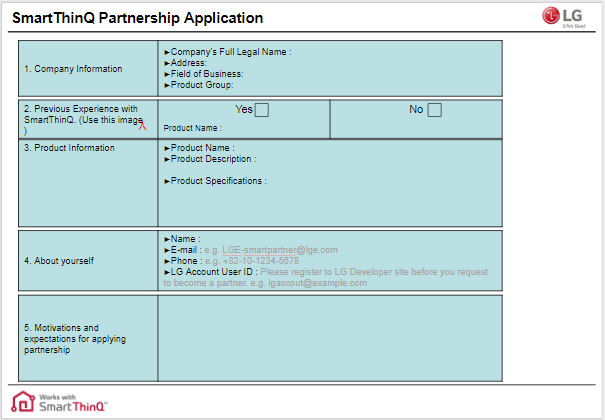 Contribute to olinek2/LGAC_SmartT development by creating an account on GitHub. I see login page and enter a login and password. after i click sign in i have information about page not found. My qestion, What i do wrong?